Geography: South East, Kent. Most of the Canterbury council area, excluding Herne Bay. Main population centres: Canterbury, Whitstable, Sturry. Profile: The seat consists of the city of Canterbury, the surrounding rural villages and the coastal town of Whitstable. Canterbury is a religious and tourist centre, the seat of the Archbishop of Canterbury. The cathedral and St Augustines Abbey are a world heritage site and major tourist attractions. The city is also home to the University of Kent as well as several smaller universities. Whitstable is a tourist town and fishing port, most associated with oyster fishing.. Politics: Canterbury is a solid Conservative seat, having been represented continuously by the party since the First World War. The majority over Labour was reduced to under 10000 at the nadir of Tory fortunes in 1997 and 2001, but has grown since then. JULIAN BRAZIER (Conservative) Born 1953, Dartford. Educated at Wellington College and Oxford University. Former management consultant. Contested Berwick-upon-Tweed 1983. First elected as MP for Canterbury in 1987. PPS to Gillian Shepherd 1990-1993. Opposition whip 2001-2002, work and pensions spokesman 2002-2003, home affairs spokesman 2003, international affairs spokesman 2003-2005, transport spokesman 2005-2010. Under secretary for Defence since 2014. Is a member of the right-wing Cornerstone group. Served 13 years in the territorial army and was awarded the TD in 1993. JULIAN BRAZIER (Conservative) See above. HUGH LANNING (Labour) Former Deputy General Secretary of the PCS union. JAMES FLANAGAN (Liberal Democrat) Born Canterbury. Educated at Bath University. Government affairs advisor. Canterbury councillor since 2007. STUART JEFFREY (Green) Qualified nurse and NHS manager. Contested Maidstone and the Weald 2010. A majorityless shambles of a Tory government got boundary changes through in 1995 against the most formidable Labour opposition ever. “Fordwich is the only borough in the area” – maybe it was once but it’s basically a village now and not a particularly big one at that. Re boundary changes I’m leaning towards the conclusion that they will pass but I don’t think its as certain as H. Hemmelig suggests. As Tim Jones points out a lot of Tories will lose out in the review and will probably vote against (or at the least abstain ) to save their own bacon. I’ve mentioned Wales before where I imagine at least half of the Tory MP’s there will rebel but the list of Tory “problem areas” keeps growing. I recently mentioned North Lancashire (an area of three MP’s two Con one Lab) which will lose a seat. The new electoral figures have really shafted the Tories there since it pretty much necessitates the creation of a safe Labour Morecambe and Lancaster seat. This leaves two Tory MP’s to fight over the one safe Tory seat in the area. thus at best I imagine we’ll see one rebellion there but possibly even two since both Tory MP’s would have a claim to the seat and they might want to avoid a messy nomination battle. That’s 9 just off the top of my head. Did those MPs rebel? No. Some got new seats and some didn’t. “A lot more will be cast by the wayside this time round – increasing the potential for trouble”. Don’t see where you get that from. 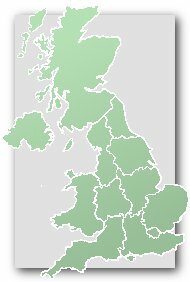 The relevant article on this site says the Tories would have won nine fewer seats in 2015 had the previous review been implemented. It goes on to say that the upcoming review will probably be slightly more benign from a Tory point of view. Northern Ireland is set to lose only one seat as opposed to two in the aborted review, so less chance of any opposition from MPs from there. That figure of 9 doesn’t demonstrate the number of likely rebels. First of all its the net loses, boundary changes could mean the Tories would gain seats elsewhere but the probably new MP obviously can’t pro actively vote in favour of the review in anticipation for them entering the commons. Thus the raw figure of Tories who lose their seat is almost certainly higher. Second that’s only losses, how many Tory safe seats will suddenly become marginal? Will those MP’S vote for the review? Obviously mote marginals will become safe but that doesn’t help the potential rebels one iota. Thirdly as I demonstrated with my Lancaster example the loss of one seat might lead to two or more rebellions as the MP’S in a given area want to avoid fighting for the nomination of the preferable seat. Finally on a slightly different note I struggle to see how Anthony came to the conclusion the review this time will be even better for the Tories. A lot of this comes down to luck, again using my Lancaster example last time the review was great for the Tories there, this time by the sheer fluke of the electoral figures they’re getting screwed. Unlikely (near impossible) as it is something similar theoretically could happen nationwide and result in the review being brilliant for Labour. People are assuming that any Tory MP who ‘loses out’ will oppose. Will they? 5 did last time, but there were certainly more than 5 ‘losers’ in the proposals put forward in 2013. Take Wales. I think it’s been said elsewhere on this site that at least 5 Tory MPs there will lose out so they’ll rebel. But I can think of at least 3 MPs who might voluntarily stand down anyway because of age. Others might actually want the excuse to move to a safer seat, or look forward to getting a job with a bigger salary outside Parliament. Of course there’s also the carrot of a peerage to make people cooperative, Or you might even stretch it to an ambassadorship a la Helen Liddell. Of those who rebelled last time, Richard Shepherd is no longer there. David Davis might be stepping down anyway once he’s sure his arch nemesis Mr Cameron has left No 10. Admittedly he might rebel out of sheer bloody-mindedness – as might John Baron (though boundary changes might actually benefit him). There’s another factor to consider as well. Who will the Tory leader be? If there’s a new PM at the time of the vote in 2018, Tory MPs might be more willing to give the leadership a bit of slack. It’s not a straight forward calculation. On the subject of the 4 rebels last time that was almost certainly due to it being well known the review would be blocked since the lib dems had came out against it. Why get in trouble with the whips voting against something that you know is going to fail anyway? Thus many (how.many is up for debate) Tory MP’S will ajve voted for the review (even though it screwed them) safe in the knowledge that there wasn’t enough support for it. I thought Andrew Percy also rebelled, making it 5. Presumably because his & David Davis’s seats were to be effectively merged?? But I may have misremembered there. You might be right I honestly can’t remember how many there where. Four rebelled, more abstained. I can’t really be bothered to have this discussion again but I’d still, despite the heightened backbench unrest of the last few weeks, be very surprised if they didn’t go through. In the past the Conservatives have been ruthless in “slotting in” MPs whose seats have disappeared or become unwinnable, sometimes to constituencies nowhere near the ones for which they prevously sat. However, suc reallocation of constituencies is going to be harder this time because of the reduction in the total number of MPs. It is harder to moveLabour MPs to new constituencies because local parties still have more say in the selections. For 2020 there are going to be issues for Labour anyway because of left/right selection battles. Well Davis and Percy would both have fancied Goole & Howden though Percy could also have fought Grimsby North & Barton with Martin Vickers fighting Grimsby South & Cleethorpes. Both Grimsby seats would have been Tory in 2010 because of their non-Grimsby bits. Interesting how Julian Brazier doesn’t seem to have aged at all since 1987. Just watching him at the moment on Channel 4 News. Spoke to a friend who said there’s plenty of REMAIN posters and few LEAVE posters displayed in Whitstable! Very unusual for Kent! It supports my prediction that this parliamentary seat will vote REMAIN (probably Tunbridge Wells will as well) whilst the other parliamentary seats in Kent overwhelmingly vote LEAVE. I posted a message on the Sevenoaks forum on last Thursday. I spent the day last Thursday there and saw several LEAVE posters and few REMAIN posters! Initially, I thought Sevenoaks would vote REMAIN but judging by the sheer number of LEAVE posters I saw all over the constituency, I don’t think this will be think REMAIN will win there. Not sure posters are the best judge but looking at the last election there’s no way Sevenoaks votes remain unless it’s a landslide win. It might be affluent but the Lab + LD + Green vote is only about 25%. Canterbury and Tunbridge Wells are by far remain’s best LAs in Kent. Not sure but I think Sevenoaks is the most middle-class district in Kent, so you’d expect the Remain vote to be one of the highest there on that basis. Canterbury may be higher due to students. Tunbridge Wells will vote to Leave. The town may vote Remain but it will be outvoted by the other parts of the constituency. Sevenoaks itself might vote narrowly to Remain but Swanley will vote Leave by a massive margin, almost certainly enough to tip the constituency/borough to Leave overall. If anywhere in Kent is swing it’s Canterbury, and that’s only if a decent number of students are still around to vote there. It’s far from impossible that leave carry every LA in Kent and still lose overall. I agree with that. Even Canterbury has a large Tory hinterland away from the city. In a close result I think it’s 50:50 with the rest of Kent almost certain to vote Leave even if Remain win antionally. The last sentence of my previous post was meant to say: Initially, I thought Sevenoaks would vote REMAIN but judging by the sheer number of LEAVE posters I saw all over the constituency, I don’t think REMAIN will win there. Good post. You’re right. Canterbury will be a vital win for either side. Watford was my only bellwether for this referendum but I think I’ll add Canterbury as another personal bellwether. Decent Remain result by Kent standards. The Boundary Commission proposals for Canterbury appear to be good for the Conservatives because they place the two most likely areas for Labour, the actual City of Canterbury and Whistable, into different seats. On its existing boundaries, Canterbury was becoming distinctly marginal, largely because of the large student population. The new North Kent Coastal seat will be safe for the Conservatives. The opposing parties are split between Labour in Whitstable and UKIP in Herne Bay. It is interesting that the Boundary Commission have again placed Blean in a different seat from the City of Canterbury. The boundary is less illogical this time than in the previous abortive proposals; but all the same the University of Kent is placed on or near a constituency boundary, which is not very happy for a single, largely residential, institution. Canterbury is beginning to come under heavy and sustained pressure for population growth following the intoduction of the high-speed trains that bring this seat within an hour’s journey time of London. I predict that within ten years this seat will be well over its electoral quota. I have not yet seen the projected electorate for this seat; but it does not look likely to me to be at the lower end of the quota limits in the first place..
Growth issues for this seat are intensified by the fact that Canterbury City Council was particularly tough on excluding voters when the new registration procedures were introduced for the 2015 register. The future incomers are likely to be commuters rather than students. In my opinion it is likely they will vote Conservative, and will have little likelihood of voting UKIP. I didn’t foresee that the Boundary Commissioners would put Canterbury and Whitstable into separate seats, although these proposals seem more sensible that the previous aborted ones. in relation to this constituency. The Green Party tried to form an anti-Conservative coalition here but Labour and the Lib Dems said no. UKIP, meanwhile, have stood aside and are telling their supporters to back the Conservatives. According to the latest opinion polls, this seat is far from safe for the Conservatives. Much may depend on how many students turn out to vote. It will also depend on how many LibDems vote tactically. We could see something not dissimilar to the 2001 result. I was in Canterbury yesterday. There does not appear to be much happening politicially. I would have thought that Labour and the Cnservatives should be throwing everything they have got at this seat., along with two or three others in East Kent. I wouldn’t want to jump the gun on Lab doing well here but looking at the YG extrapolations here, in the Reading seats and elsewhere in places like Plymouth S&D, it occurs to me that we may be beginning to see the electoral effects of the growth of middle and lower ranking universities over recent decades. Historically these places wouldn’t have been considered university towns. The YG extrapolations suggest that this would now be Labour’s best hope of a seat anywhere in Kent. Dover, Gravesham , Gillingham and Dartford are all projected to remain Tory . YouGov has the Conservatives 2% ahead here. Lancs Observer has knidly given us Ladbroke’s odds for the neighbouring seat of South Thanet. I am not into ion-line betting, so don’t know my way about the system. It would be helpful if sombody could post here the latest betting odds for this seat. Canterbury is clearly Labour’s best hope of a seat in Kent becasue of demographic changes. Keep an eye on the 24% of voters who are in further and higher education and how may jump on board a tidal wave voting trend as a result of the social media. I have just looked at the YouGove rolling forecast. They have changed their prediction for Canterbury form Lean Tory to Lean Labour. On their current forecast Labour are 2% ahead. It looks as though Canterbury may be the one seat in Kent that the Conservatives will lose. I find the YouGov “Multi Level regression and post-stratification” fascinating, but it is important to bear in mind the wider context of other polling and also what their results at constituency level say. From this alone, you can see that there is still a wide range of possible results, so perhaps it would be best just to note that they seem fairly certain that there will be a swing of some sort to Labour in Canterbury. More generally their figures look good for Labour in the South and London, and good for the Tories in the Midlands and North. Thanks for the amplification, James..
A lot depends on who will be turning out, particularly in a seat like this with its huge student vote..
My personal feeling is that events during the election campaign are bringing out the young voters. I think Labours chances are way over hyped here, yes there is a significant student population but so do seats like Kingston and Colchester both those seats also have rough estates were Labour vote can come from as well where as Canterbury from what I have heard has one of the lowest crime rates in the U.K. Aside from the student areas the rest of the seat is Conservative and the seat has always elected Conservative MPs. Kingston and Colchester have elected Lib Dem MPs in recent years on the back of tactical Labour vote. Student towns that elect Labour MPs (Oxford, Cambridge) don’t just rely on the student vote for Labour, they have rough gritty areas that have drug and gang problems and knife crime. Yes, a 9% swing to Labour has to be extremely unlikely. It would take the LD vote collapsing further, to almost zero, AND the UKIP vote breaking more for Labour than for the Tories – or an appreciable Con to Lab swing, none of which are too likely. The fundamental point in Canterbury, whatever the result, is that there is a major and rapid demographic change going on in this seat. A 9% swing would be no more astonishing than what went on in Scotland in 2015. Yes the LibDem vote here has collapsed since 2010, if not to zero. I struggle to see the massive shfit from LDs to Labour – the parties are not exactly ‘overlappable’ in the same way that UKIP and Tory voters might be expected to be. Speaking generally, remember that in 2015 polls overestimated the amount of LD voters Labour would take significantly. Rumours that votes are VERY CLOSE between Labour and the Tories in Canterbury! Yes, CANTERBURY! IT LOOKS LIKE LABOUR HAVE WON CANTERBURY!!!!! Canterbury has fallen to Labour. If Labour have gained Canterbury, this is AMAZING!!!!! Confirmed. Labour gain. The most extraordinary result in this election.